Published on December 8, 2017 in New Hampshire Resort. Closed Tags: New Hampshire Resort, tax free shopping, tilton tanger outlets. 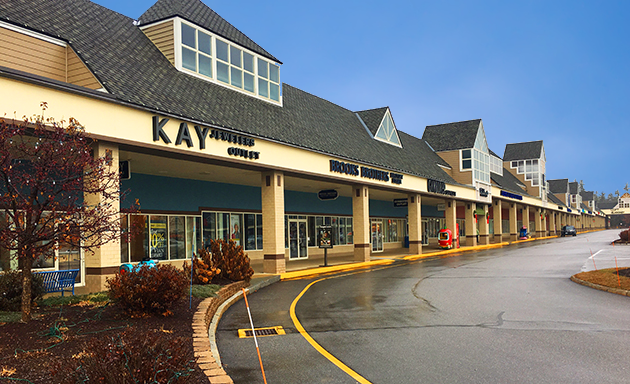 The Holidays are fast approaching, and here at Steele Hill we are just a short 15-minute drive to the Tilton Tanger Outlets which offer a huge selection of tax-free shopping. So, during this busy time of year get away for some peace and relaxation, and join us at Steele Hill Resorts, your lodging destination of choice for the Tilton Tanger Outlets. Before making your way into town, start your morning off with breakfast at The Hilltop, grab a waffle from our onsite convenience store, The Market, or simply enjoy a cup of coffee from the comfort of your room. With in-room amenities including full kitchens Steele Hill is truly the ideal spot for some peace and relaxation before a long day of shopping. The Outlets offer some amazing deals all the way through the holidays. They have something for the whole family, whether you want a new pair of shoes, workout clothes, a cozy sweater or a new pair of jeans you can find it here. Popular store brand names include; Banana Republic, Tommy Hilfiger, Levi’s, Nike, Coach, Bath and Body Works, and so much more. For a full list of stores check out the website here. If you need a break during your shopping extravaganza head to one of the onsite restaurants or grab a coffee at the nearby Starbucks. You could also visit one or our personal favorites, the Rocky Mountain Chocolate Factory, for a delicious candy apple. Shopping during the holidays isn’t always fun, but it doesn’t have to be that way! While shopping for others take some time for yourself and enjoy all the natural scenery at Steele Hill. After a busy day of shopping, hop into our new four-season outdoor hot tub with beautiful views overlooking the Belknap Mountain Range and Lake Winnisquam. For a great deal on Tilton Tanger Outlets Lodging and shopping, Steele Hill makes it easy with an amazing Shop and Stay Savings Package. Join us for two or more nights and receive 20% off your stay per night, package also includes a $10 gift certificate for each night of your stay to our onsite, Hilltop Restaurant, and a $25 gift card along with a discount coupon book to the Tilton Tanger Outlets, for more information and a list of other packages we are currently offering check it out here.